What’s the equipment costs for an Everest Base Camp Trek? If you’re heading on a trek to Everest Base Camp, the Annapurna Circuit or even to climb a trekking peak like Island Peak, then a massive part of your preparation and build up to the trip is to purchase some new equipment. So when you step into an outdoor clothing shop and start to feel like an excited child walking into a sweet shop, it’s good to know what to look out for before you end up spending your life savings on the entire store. Depending on what equipment you currently own, this might mean that you only need to allocate a small budget to get the equipment you need. However, even the best-laid plans can be quickly overlooked when you see a shiny new RAB down jacket that makes you look like a mountaineering rock star. So with that in mind, I’ve noted what equipment you will need, to give you some idea of how much of your hard earned cash you will need to part with before arriving in Nepal. We have recently partnered up with UK outdoor adventure equipment store Likeys and below are a few recommendations we have chosen from their online store. I HIGHLY recommend you check them out! 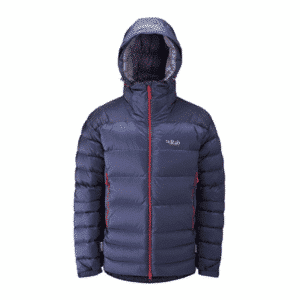 Down Jacket – £50 – £300 –Down jackets can be very, very expensive especially at the high end and it really comes down to personal preference and budget. If you’re looking at a quality jacket then RAB, Berghaus and Mountain Equipment are the ideal brands to check out. (We provide FREE hire of a down jacket on all of our trekking and climbing trips if you want to save some dosh). One personal favourite of ours is the RAB Positron Jacket. Definitely not cheap but perfect for the Everest base camp trek. Waterproof jacket – £30-£250. Why a waterproof jacket for high altitude I hear you say? Well, in Pre-Monsoon May and post-Monsoon September it does sometimes rain. Personally, I do a lot of my walking in the UK with my trusted waterproof jacket and I also wear it whilst trekking at high altitude. The Gortex material enables wicking of moisture when I sweat so it keeps me comfortable even when under heavy exertion. One jacket we like is the Montane Minimus jacket, a great value jacket. 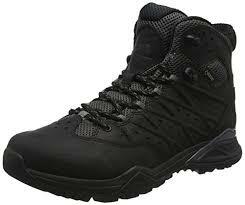 Your hiking boots or trekking boots will be your best friends on a trek to Everest Base Camp. Make sure these are worn in & you feel comfortable with them before you head off on your trek. This is so important. I would even try and get a couple of consecutive days hiking done in them to see how your feet feel. The last thing you need is to head off a trek and get a blister or 2 within the first few days of a 2-week trek. One thing I have learned when purchasing boots is that you don’t need to spend £100’s on a new pair but more importantly, that they fit properly. Have a good look around and when trying on a new boot ALWAYS walk around the store for at least 10 minutes to gauge the feel and the comfort of the boot. Of course, you will never know how the boot really fairs until you get out walking in the hills or mountains but it should give you an idea. My personal favourite for the Everest base camp trek is the North Face Hedgehog GTXwhich i’ve used multiple times. Comfy doesn’t even come close to explaining how good these boots are. An important part of your trekking kit and something that you will undoubtedly wear for consecutive days & will feel more like a uniform rather than a pair of trousers. I’ve found that comfortable trousers, like the Kiwi trekking trousers produced by Craghoppers, are a great option as they save you cash on purchasing actual shorts as well as trousers so check them out. If you do want some quality trekking trousers, check out the Mammut Base Jump trousers which are very durable and also super breathable at the same time. Often termed your skin layer or base layer, this is a hugely important layer in the colder sections of your trek & I would take a couple of these with you. When it comes to recommending what base layer to go for, it really is a personal choice. However I do like the RAB and Berghaus base layers I’ve have come across, especially the Rab Men’s Merino+ Baselayer. Although more expensive than the average product, they are very good wicking items and are super comfy when hiking for 6/7 hours on the trails. Also check out Icebreaker base layers which are awesome. I’ve worn an Icebreaker t-shirt base layer in -10 and hardly felt the colde. Great technology! Another important part of the layering system is your Mid Layer fleece. I recommend the Rab Nucleus hoody This particular hoody is ideal for trekking in Nepal as it is light-weight, provides great warmth and yet allows good moisture release (breathability). There are heaps of options when it comes to these. I would also recommend you take a couple of variations of fleece, like a full zip, a quarter zip and also a full fleece pull on to cover any situation. I always take 2 or 3 fleeces on a trek to Everest Base Camp so it’s worth shopping around. You’ll need at least 4 or 5 pairs of good quality hiking socks. Bridgedale are very well known and for a good reason. The Bridgedale Woolfusion Trekker is a great sock. Merino wool socks are also great and provide some great wicking technology for sure. I would ignore any socks that are cotton based as from experience, they do retain moisture and this, in turn, can cause blisters. There are plenty of good hiking socks out there so you won’t go far wrong. With porters carrying most of your gear, you’ll still want to take a light-weight daypack to carry smaller items such as snacks, water, camera etc. An ideal daypack will have compression straps to reduce the weight and stress on your back. 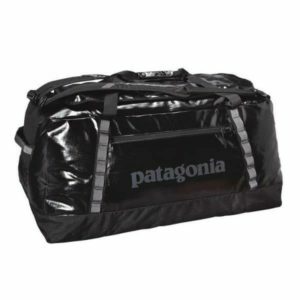 Make sure your pack has side pockets to allow for your water bottles too. The Osprey range including the Talon 33L is a good option as well as the Mountain Hardwear Rainshadow 36 which has alot of functionality. A warm sleeping bag is important although all the tea houses/lodges we use have blankets and duvets to keep you warm. If you do want to take a sleeping bag and not a liner then we strongly suggest getting at least a 3 season sleeping bag, however, the lower the temperature that the sleeping bag can handle, the pricier they are. If you would like to save money there are synthetic options out there too. If you do go for synthetic then please make sure that it warmth rating of at least -10 degree C. (We can provide free hire of a 4 season winter sleeping bag If needed). The temperatures will get low on the higher sections of your trek, particularly in the afternoons and evenings where mountain temperatures drop dramatically. A warm fleece beanie or fleece headband is therefore essential. The North Face RAB and Berghaus produce great beanies. You can even get one of our EverTrek neck buffs which you can use on the trek. So I hope that gives you an idea of what budget you might need to spend on your equipment for the Everest base camp trek. If you want to see exactly what items I take with me on a trek to Everest then check out the video where I go through the complete list of equipment you will need.